Complete the form at right and we will send you our printed catalog, full of the same great products you find on this site. 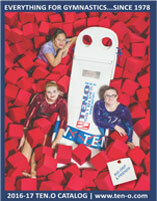 Shop from our website's "The Gymnasts' Place" for Accessories, Apparel, Grips, Gifts, Goody Bags, Jewelry, Pins, and more! And, checkout our ByGMR Equipment and Mats for gymnastics, cheerleading, dance and ballet, fitness, martial arts, and pre-school tumbling. Complete the form at right and we will send you our printed catalog, full of the same great products you find on this site. Shop from our website's "The Equipment Place" for Equipments and Mats for gymnastics, cheerleading, dance and ballet, fitness, martial arts, and pre-school tumbling. 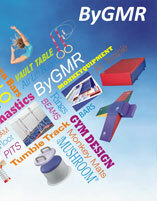 And checkout our "The Gymnasts Place" for Accessories, Apparel, Grips, Gifts, Goody Bags, Jewelry, Pins, and more! Sign me up for the TEN-O e-newsletter so that I can enjoy exclusive offers, special events, and the newest product information.